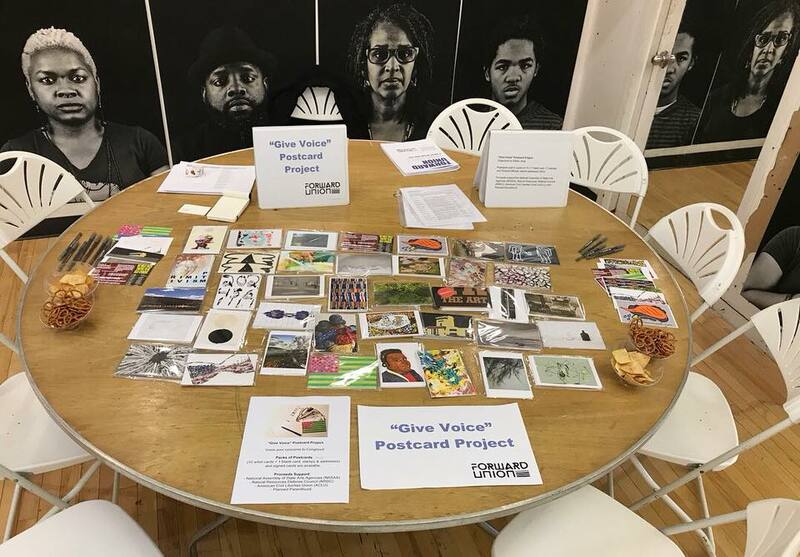 The “Give Voice” Postcard Project is a grassroots, multi-state, advocacy initiative organized by Eileen Jeng Lynch. Make your voice heard by writing to Congress at their district addresses. 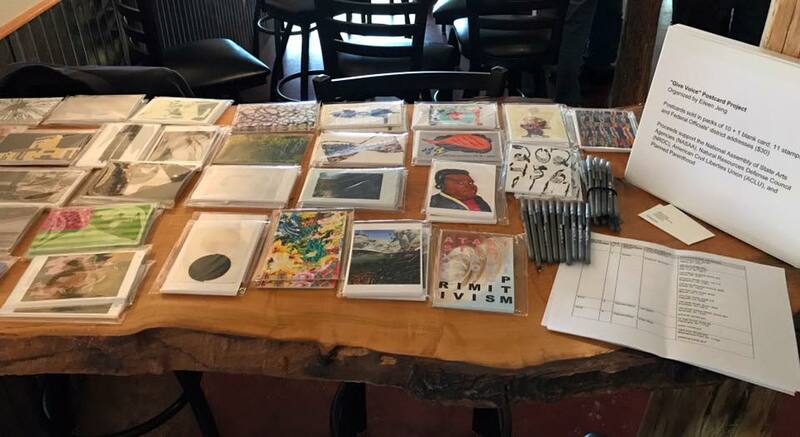 Using 38 artist-designed postcards, help advocate for the issues that matter to you: protection of civil liberties; rights of immigrants, women, and LGBTQ community; the arts; healthcare; environment; natural disaster relief; and gun control regulation, to name a few. Stamps and federal officials’ district addresses are included with the cards. 1. Purchase “Give Voice” artist postcards with stamps and addresses from the STORE. Proceeds are donated to the NASAA, NRDC, ACLU or Planned Parenthood. 2. Look up your US Senators and Representatives' district addresses on the included list or HERE. 3. Identify an issue that is important to you. As a reference, some bills and topics are below. The combination of these extraordinary images and participants' personal stories across the nation will be incredibly impactful. After all, there is strength in numbers. 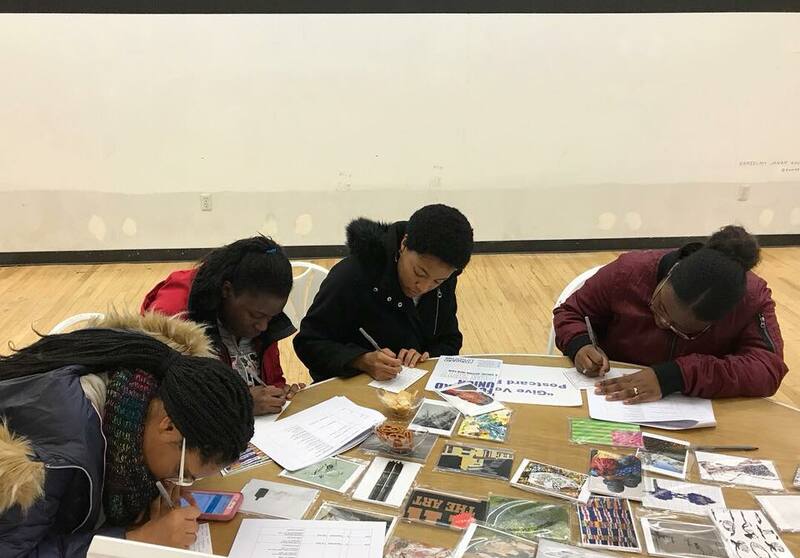 Having occurred in New York, New Mexico, Illinois, Minnesota, and North Carolina, among other states, this nationwide artist postcard writing project has the potential to change the current political landscape. 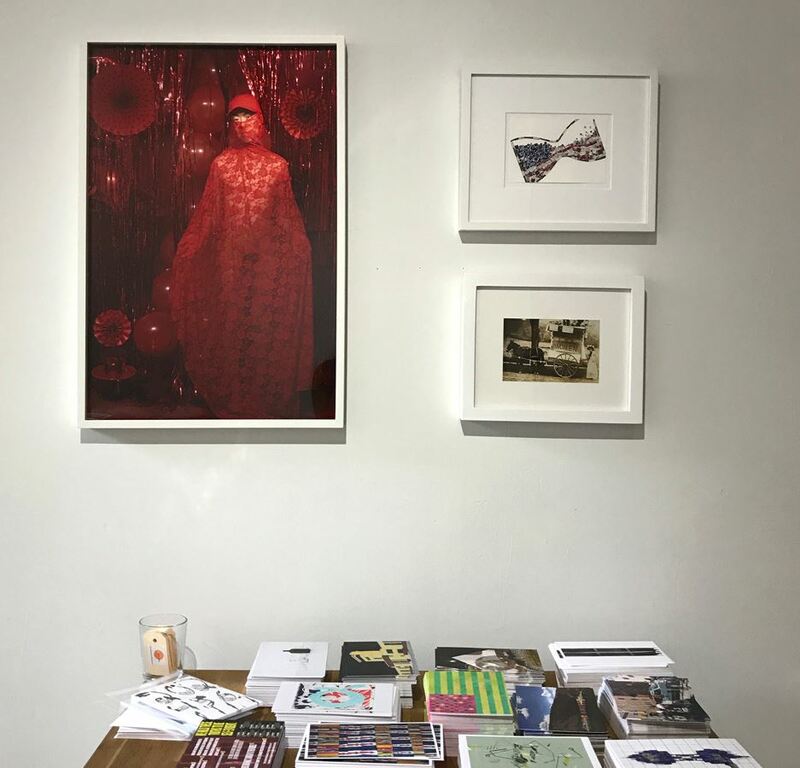 Proceeds from sales of postcards support the National Assembly of State Arts Agencies (NASAA), Natural Resources Defense Council (NRDC), American Civil Liberties Union (ACLU), or Planned Parenthood—a cause of the artist's choice. 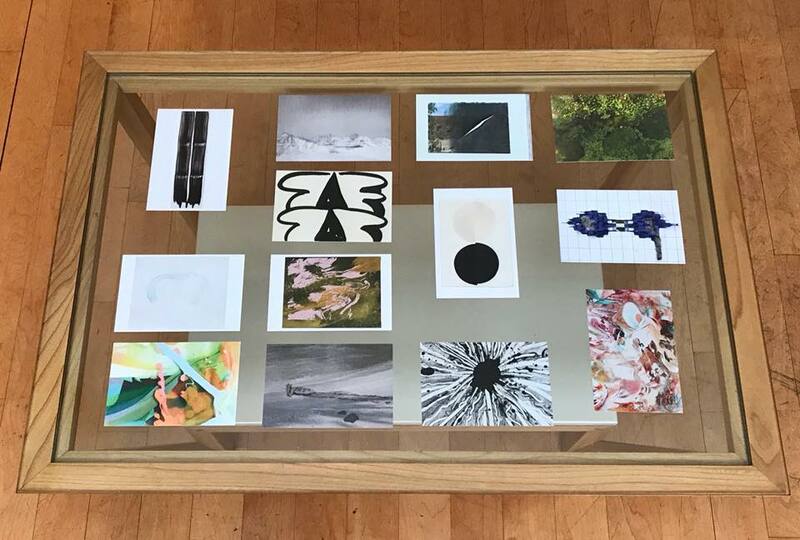 Artist postcards are available online in the STORE. Postcards are sold in packs of 10, along with a blank card, stamps, and district addresses of your state's Federal Senators and Representatives. For assorted packs and signed postcards, please email eileen@neumeraki.com. This project has been ongoing since the Trump Administration released its FY18 budget proposal. The Administration's FY19 budget proposal (October 2018 – September 2019) once again sought to eliminate funding for the National Endowment for the Arts, National Endowment for the Humanities, and the Institute of Museum and Library Sciences, among other programs. The egregious proposed cuts and current policies would imperil key programs, including those that protect our civil liberties, women's rights, culture, and the environment; provide humanitarian assistance; and support scientific research and development, among many others. The Affordable Care Act enrollment is being discouraged by the Administration. The Administration forbid the FCC from using the following terms: vulnerable, entitlement, diversity, transgender, fetus, evidence-based, and science-based. Given recent events, we also need Congress to pass gun control legislation. Congress is tasked with producing a budget resolution and 12 appropriation bills for FY19. The 116th Congress, in which Democrats control the House, will convene on January 3, 2019. I hope you let your voice be heard throughout the duration of this administration and its policies. 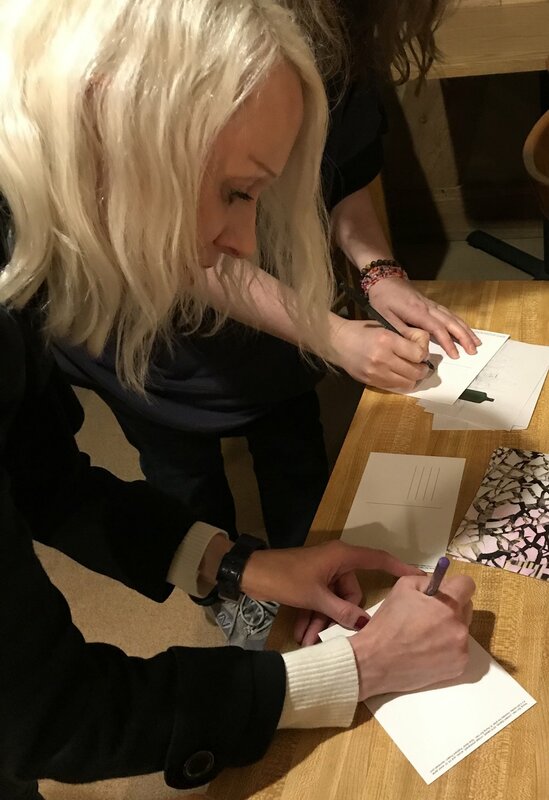 If you would like to host a local event or be in touch with a Nationwide Committee member in Chicago, Santa Fe, Durham, or Minneapolis, please email eileen@neumeraki.com. S.661 - CREATE Act of 2017. Introduced by Senator Tom Udall (D- NM) to assist entrepreneurs, support development of the creative economy, and encourage international cultural exchange, and for other purposes. NO to H.R.38 - Concealed Carry Reciprocity Act of 2017. Sponsored by Rep. Hudson, Richard [R-NC-8] (Introduced 01/03/2017). Passed House, amended (12/06/17). A similar bill is S.446 Constitutional Concealed Carry Reciprocity Act of 2017 (Sponsored by John Cornyn [R-TX]. Introduced 02/27/17. Oppose Public Charge Rule (Deadline December 10). This rule would reshape how the federal government defines “public charge” - a term used by federal immigrant authorities to determine whether an individual seeking immigration status is likely to become primarily dependent on the federal government for assistance. This rule would penalize immigrants if they receive the benefits to which many contribute with their tax dollars by denying them green cards or legal status. Source: NACo website. Oppose the Trump administration’s proposed “gag rule” that guts Title X – the health care program that, since 1970, has provided basic reproductive care and family planning services to four million people. Selected works available. Proceeds support the National Assembly of State Arts Agencies (NASAA), Natural Resources Defense Council (NRDC), American Civil Liberties Union (ACLU), and Planned Parenthood. Contact Eileen Jeng at eileen@neumeraki.com with inquiries. See more photos on the Give Voice Postcard Project Facebook page.